Tomorrow, the 16th President of the Philippines, President Rodrigo Roa Duterte, will be having his first State of the Nation Address (SONA). Digong, as he is affectionately called by the Filipino people, used to be the mayor of Davao City, a progressive city in Mindanao, until 16 million of my countrymen, including myself, elected him as our president last May. 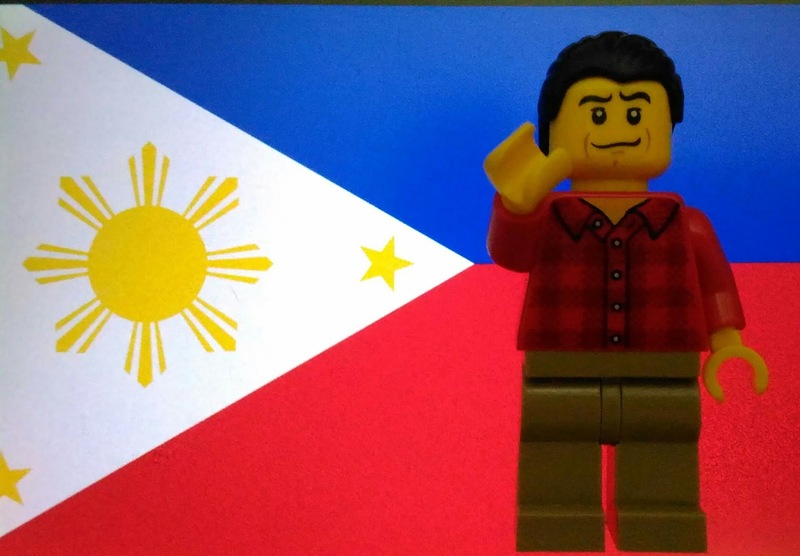 To pay tribute to the man who will lead our country for the next six years, I made a mixed and matched fig of Digong wearing what he wore during election day. The tough-talking president is known to be a simple and humble man and the red shirt he has been caught wearing on several occasions affirms that image. That is exactly the reason why I chose the torso with the red plaid shirt from Set # 60134 for this fig. To our president, I wish you all the best as you guide our people out of the rut that has sown indifference in the hearts, minds and souls of each and everyone who has stayed in this country, be it out of choice or circumstance. You are at the helm of this sinking ship and it seems you have the right amount of wits and will to navigate us through the dangers of what lies ahead. I wish you success in your mission to make our country a fair and better place for every Filipino regardless of their social status, gender, sexual preference, creed and belief. To wish you otherwise will doom us all. God bless you, Sir. Mabuhay kayo! Thanks! I hope that he succeeds in making our country better for everyone.